We spent two weeks this summer traveling around the Hawaiian islands. Of course, it’s Hawaii, so they were all amazing. However, the island that brings back the most wonderful memories is Kauai. I’m certain you will fall in love with the Garden Isle just as I did, but it can be hard to narrow down what to do with a short vacation. 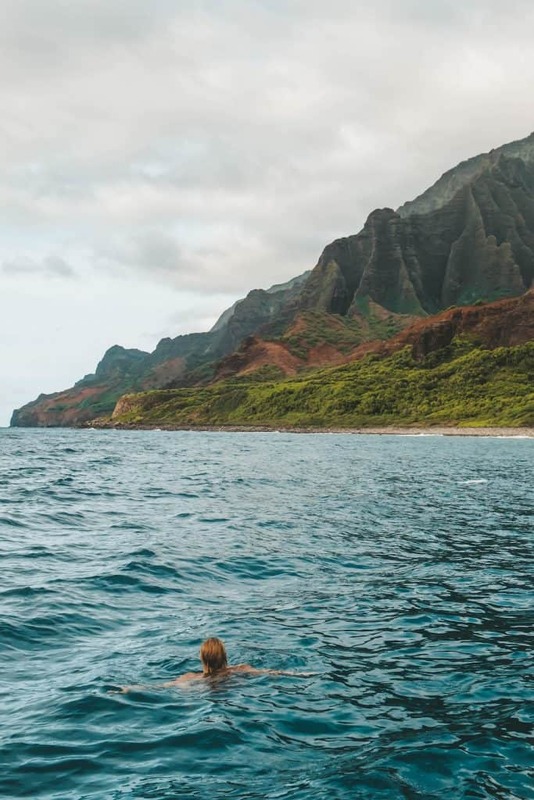 There are so many things to do in Kauai, including a ton of free nature activities that it will be hard to ever get bored. Kauai is known for being one of the prettiest Hawaiian islands and the most laid back vibe of the four main islands. It’s perfect for those that want to step into nature and stretch their legs on a few hiking trails. Waimea Canyon is one of those things you have to see in Kauai. 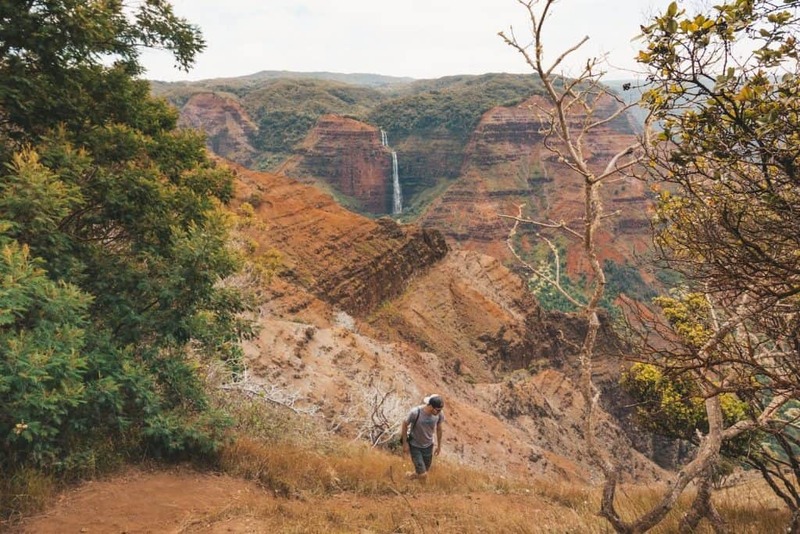 Known as the ‘Grand Canyon of the Pacific’ and located in Waimea Canyon State Park, Waimea Canyon is one of the things to do in Kauai that’s near the top of most visitors’ to-do lists. The canyon winds its way for 10 miles through the surrounding volcanic rock and is nearly 4,000 feet deep in some parts, soon after seeing you’ll get an idea of its magnitude. Viewing the canyon by car is the easiest way, and thanks to the many vista points on Koke’e Road, you won’t need to exert a lot of energy if you don’t want to. If you’d rather burn a few calories and see the canyon up close, there are plenty of trailheads on the same road that’ll take you to vista areas that those car-bound visitors won’t get to see. Admission to the park is free, and there is ample parking and restrooms available along the route as well. Considered the birthplace of the hula dance – and probably the most popular beach in Kauai – Ke’e Beach is on Kauai’s north shore. Like a magnet to beach lovers and those seeking an unforgettable view of the famous NaPali Cliffs, Ke’e Beach can be rather crowded due to its easy access along the Kalalau trailhead. The beach is rocky in places, but there are lifeguards on-duty so feel free to take a dip; restrooms and showers are available if you’d like to rinse off before heading home. If possible, plan your trip to Ke’e Beach during the week, especially if you’re the kind of person who doesn’t like crowds – it fills up fast on the weekends. Though beauty is in the eye of the beholder, by most standards, Tunnels Beach would be among the most perfect beaches in the world. Also on Kauai’s north shore, Tunnels Beach is a favorite among snorkelers of all experience levels, who appreciate its clear water. The underwater rocks and tunnels attract a colorful spectrum of marine wildlife of all shapes and sizes. If you’d rather lay on the beach and relax, you’ll love the majestic green hills and cliffs that frame the beach and descend right into the water. There are lifeguards here and the daily conditions are posted because Tunnels beach is subject to larger waves and more powerful currents. Be forewarned that parking can be an issue here, especially on weekends and holidays. If ever a town had it all, it’d be Hanalei. It’s sandwiched between the scenic north shore and postcard-like beaches of Hanalei Bay, which makes visiting Hanalei one of the things to do in Kauai that you won’t want to pass up. Boasting historic buildings, surf and bikini shops, and plenty of places to eat and drink, you may not want to leave (we didn’t!). This is also a great area to be in when the sun goes down as the town comes alive. For those who want to experience watersports the Hawaiian way, there are places to rent surf, body, and paddle boards – kayaks, and snorkel gear, too. Hanalei Bay is made up of three beaches – Black Pot, Hanalei, and Waioli. Unlike some of Hawaii’s more placid beaches, some of these are subject to bigger waves and stronger currents, especially in the winter months. At the risk of sounding like a broken record, be warned that parking and crowds can be an issue here too and you will likely have to be lucky to score some street parking. 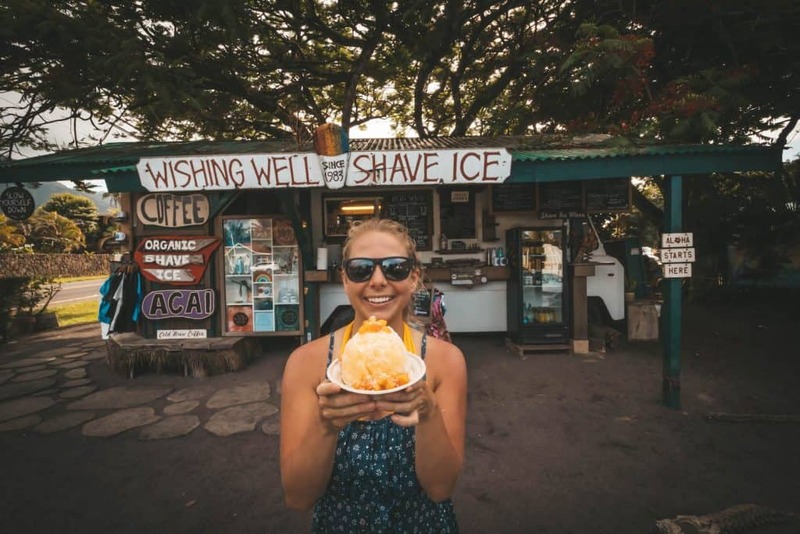 For some good shaved ice try the well-reviewed Wishing Well! If a little time away from the crowds sounds like a good idea, head towards Kauai’s east side, to the town of Kapaa. Not as touristy as many other of Kauai’s beach towns, Kapaa is a bit of a diamond in the rough. If you’re flexible and your schedule allows, head over on a Wednesday and you’ll be glad you did. From 3:00 until 6:00 on Wednesday afternoons, there’s a farmer’s market with lots of produce and products from the local farmers – some of which you may never have seen before. There’s an amazing beach in Lydgate Park too, and across the street, there’s the Kamalani playground that’ll be a big hit with the little ones. With its big wooden structures, stairs, swings, and slides, it puts other playgrounds to shame. 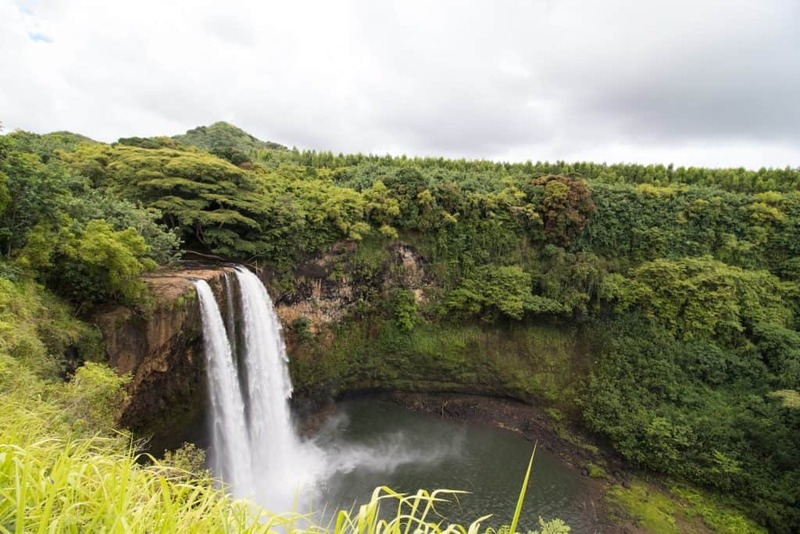 Home to famous Wailua and Opaekaa Falls, which draw visitors by the droves to Wailua State Park, the falls aren’t the park’s only claims to fame. With its own rainforest, river, and many historical and cultural sites, it’s a place that could keep you occupied for a day. Most of the sites are accessible by car, though walking trails are available, as are boat tours if you’d rather see the park’s lush greenery from the Wailua River. In Hawaiian culture, the river is sacred and revered; along its banks lie temples from centuries past. The sites and park are National Historic Sites, and in the Wailua Complex of Heiau, artifacts like stone carvings and ancient writing are on exhibit. Kauai isn’t called the ‘Garden Island,’ for nothing. With over 1,000 cultivated acres of plants, flowers, trees, and shrubs in one of the world’s most remarkable settings, the Limahuli Garden and Preserve was voted the number one botanical garden by the American Horticultural Society in 1997. Located in Ha’ena on Kauai’s north shore, it’s a must for lovers of natural beauty looking for things to do in Kauai. If you’re the ‘do-it-yourself’ type who loves a challenge, then bring your walking shoes, because you’re more than welcome to stroll the mile-long loop on your own. There are plenty of identification and explanatory plaques that will let you know what you’re seeing, or you can sign up for a guided tour if you think you’d learn more that way. Framed by scenic mountains, the garden’s main features are the plants that are native to the area. 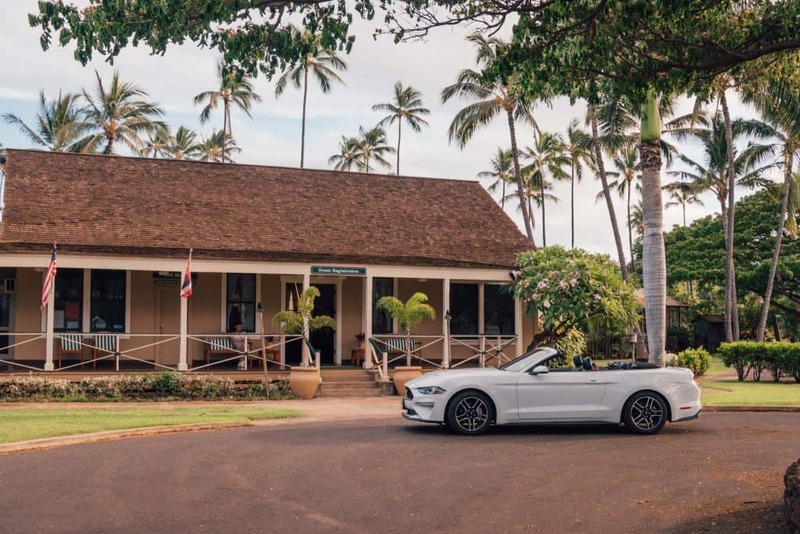 If you’re convinced that there’s no such thing as too much of a good thing, then rent a car, head to the north shore, and plan on spending the whole day driving around. 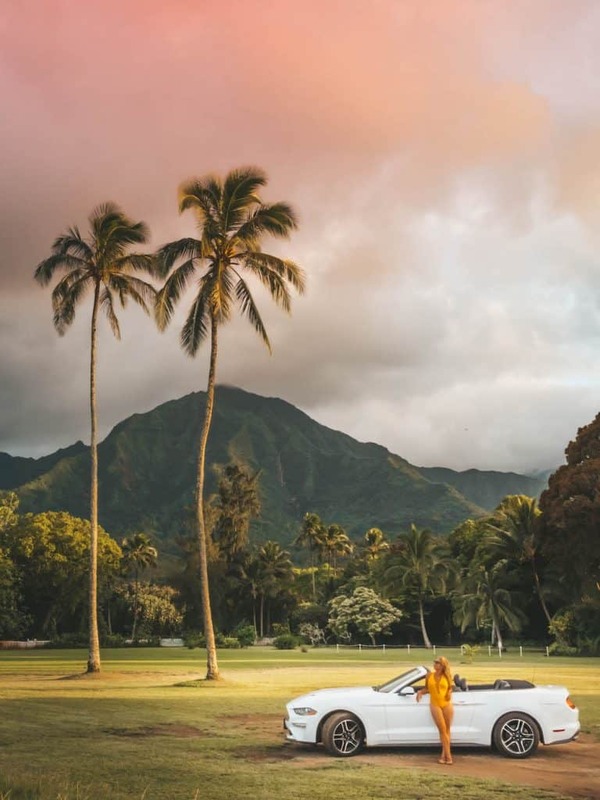 There will be a little bit of something for everyone, including the Na Aina Kai Botanical Gardens, Secret Beach and the Hanalei Valley Overlook. 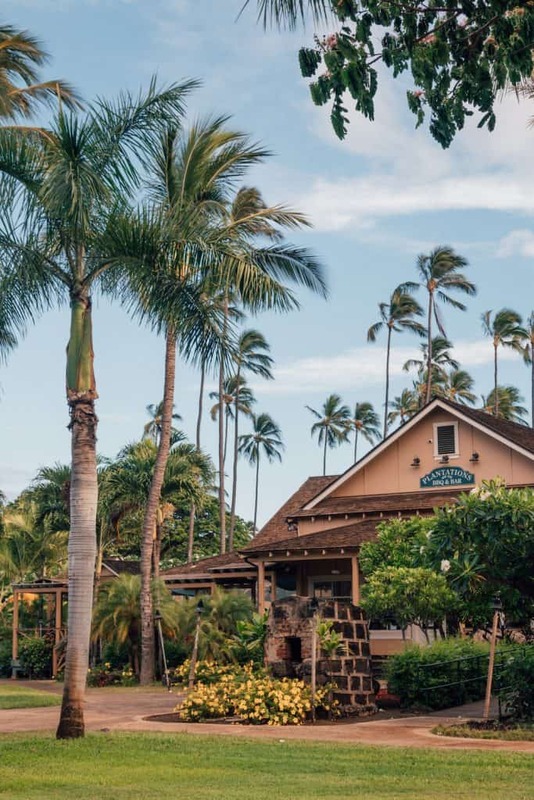 Stop in the town of Hanalei for lunch or an afternoon cappuccino, after which you’ll be able to see some jaw-dropping beaches like Wainiha and Kepuhi, which are among Kauai’s most scenic. If slashing your way through rainforest, riding on an antique locomotive, sipping vintage rum, experiencing an authentic Hawaiian luau, and topping it all off with what may be the best meal you’ll ever have sounded like an overly dramatic blurb in the J. Peterman catalog, then Kilohana Plantation is probably the place for you. Now a historic landmark, the plantation was built in the 1930s among vast fields of sugarcane – most of which went to producing molasses and rum. The Koloa Rum Company is still operating and offers tours and a food and rum experience like nowhere else. With restaurants, bars and a host of events – including traditional hula dancing, Polynesian knife dancing, and torch lighting – you’ll be wowed until well after the sun goes down. There’s also a replica of the railway that used to haul sugarcane across the island. The 2 ½ mile ride will give a view of the estate and your guide will tell you more than a few interesting historical facts. This isn’t exactly a unique thing to do in Kauai, but it is one of the most adventurous! 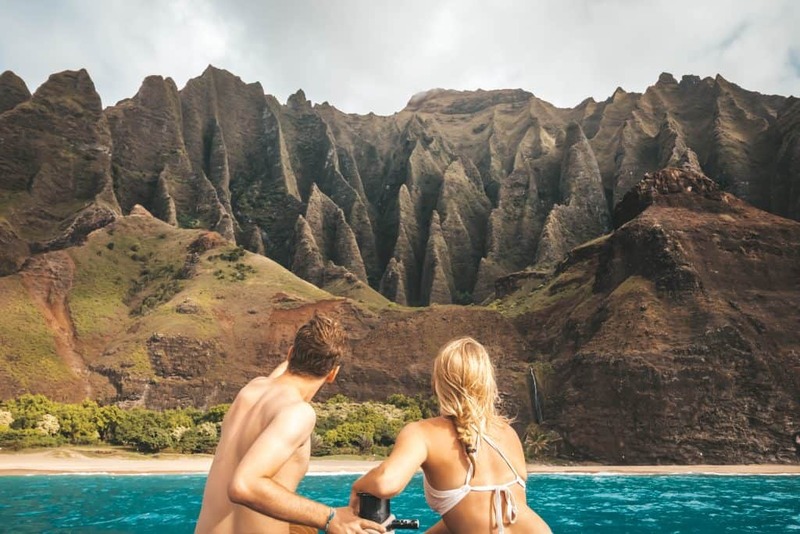 With nearly 20 miles of coastline snaking its way along Kauai’s north shore, the Na Pali Coast is a mesmerizing mix of stark cliffs, sun, and sea. If, however, you’d like to take it all in from the comfort of an air-conditioned car, you’re out of luck because there aren’t any roads. That leaves hiking, flying and seafaring – of which hiking is the least expensive. If you want to hike on the Kalalau Trail, you can do so free of charge, as long as you stay within two miles of the trailhead. The more adventurous that want to go beyond that will need to purchase a permit. If you’d like to see the waterfalls, cliffs and lush jungle from air or sea, helicopter and boat tours are available. When we were in Kauai the trails were actually closed due to flooding so we chose to see the coast via boat and had a fantastic experience. Keep in mind, the north shore is subject to strong wind and waves, so if your sea legs aren’t what they used to be, bring some Dramamine, and opt for the hotel spa after the trip. They say horse racing is the sport of kings and golf is a rich man’s game. If you’re a golf aficionado but not exactly rolling in it, you’ll be pleasantly surprised to find that there are some excellent courses on Kauai that won’t indefinitely extend your retirement date. Drawing golfers to picturesque courses that most only ever see in magazines, Kauai’s courses aren’t the exclusive domain of the rich and famous. There are courses where the greens fees are reasonable, though they vary depending on the season, day of the week and time you want to play. Discounts are often included in package tours at the area’s hotels and if you’re playing with a group. Rental clubs are available at most courses, but for the best experience, bring your own. 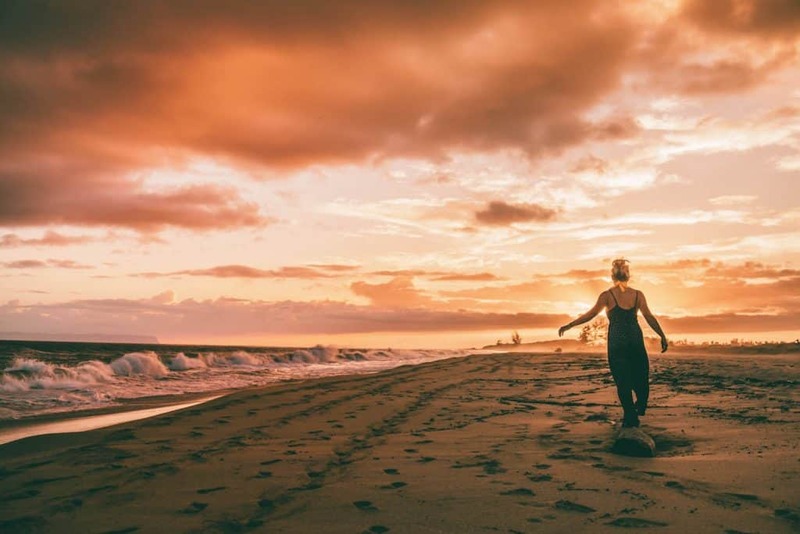 If the term, ‘off the beaten path’ is music to your ears, then Polihale State Park may be just the place for you. You can thank the five miles of unpaved and relatively poor dirt road leading to the park for its lack of crowding. Be advised, if you’re planning to go via rental car, some companies’ rental contracts specifically forbid using their cars on this road, so if you don’t abide by the terms and have a mishap on the road, you’re on your own. It’s because of this that Polihale is one of the best nontouristy things to do in Kauai. But as they say, with great effort comes great reward; you’ll be able to enjoy the miles and miles of shoreline without much bother from other pesky tourists. It’s best to plan ahead, so pack a lunch, bring plenty of water, and plan on staying until sunset, as rumor has it this is one of the best places in Kauai to see it. There are also many locals and visitors who bring their camping gear for a fun few days on the beach! 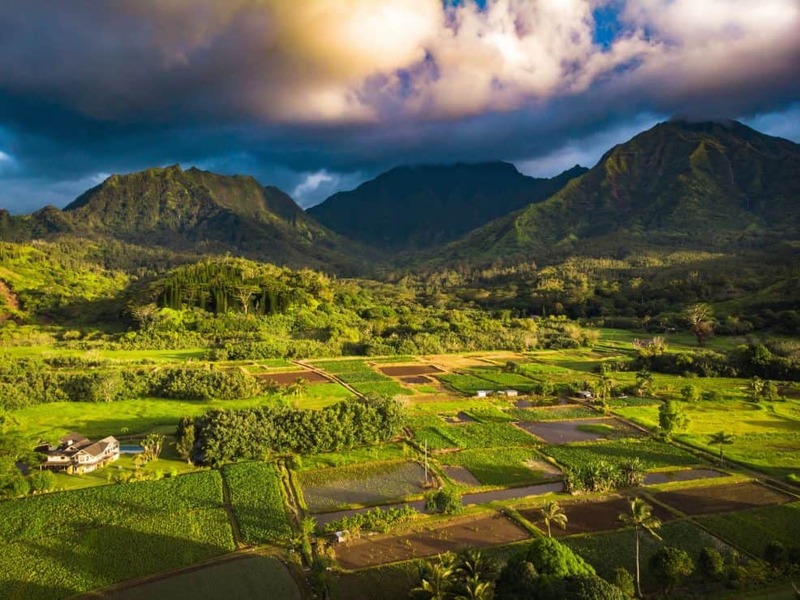 Considering its natural and often dramatic scenery, Kauai is a natural setting for producers to film movies which are set in exotic locales like Africa and South America. Kauai offers the beauty without all the risk and red tape. Since the turn of the century, famous movies by the dozens have been shot here, including, Jurassic Park, Raiders of the Lost Ark, Six Days and Seven Nights and South Pacific. With many movie tour providers to choose from, ask around for a recommendation, or go online and see what they’re offering. Tours of varying lengths are available, and, though they’re not identical, they’ll visit many of the same sites. No matter who you chose, your tour will include a guide who’ll be able to give you specific and interesting details about which movies were made where and when. Most of the tours provide hotel pick-up and drop-off and include stops to take in the scenery and have a bite of lunch. With a historic lighthouse, breathtaking ocean views, and a chance to see seabirds and other local animals in their natural and protected habitat, Kilauea Point National Wildlife Refuge is another one of those things to do in Kauai that really shouldn’t be passed up. The sea beyond the coast is also protected as National Marine Sanctuary waters, home to seals, sea turtles, and humpback whales, which are prevalent in the winter months. The Kilauea Lighthouse was built in 1913 and operated as a manned station until the 70’s when it was automated. You’ve probably heard of poke before as poke shops are opening in all the major big cities, but did you know the delicious dish originated from Hawaii? Poke means “to slice or cut” in Hawaiian. The dish refers to chunks of raw, marinated fish — usually tuna — which is then placed over rice and finished with vegetables. 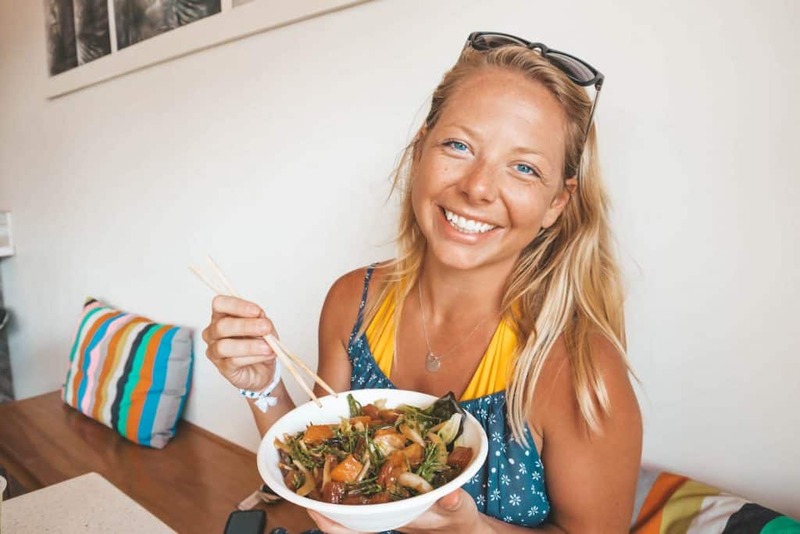 You can find the dish all over Hawaii and if you are a fish eater it’s definitely worth trying. You won’t find it better anywhere else! The cheapest place we found the dish was actually at the supermarket for about $6.99/lb, but the best place we had it in a restaurant was at Japanese Grandma ( a bit more expensive at $17.99). First, we went to the Kalalau lookout while driving highway 550 in Kokee State Park and although the views weren’t bad we weren’t blown away. We decided to keep driving in search of an epic view over Kauai and found it at the Pu’u O Kila Lookout. It is this lookout that you can get absolutely epic views into the Kalalau Valley (see photo). The views are often obstructed by clouds so if you have a clear day consider yourself lucky and take photos quickly – conditions can change fast! We were able to get right up the edge to catch panoramic views. There is limited parking so patience is key at busy times. 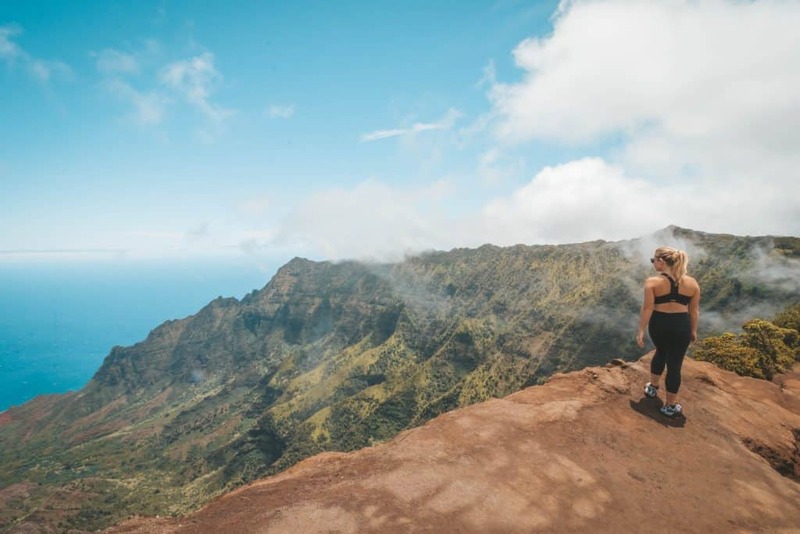 You can easily enjoy the views without hiking, but there are numerous hiking trails that take visitors along the back of Kalalau Valley. 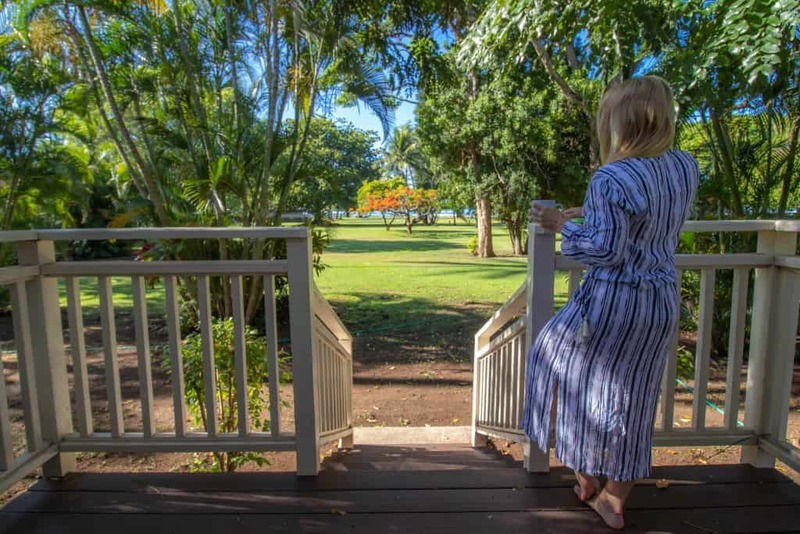 We didn’t know what to expect when we pulled into Waimea Plantation Cottages but ended up absolutely loving our stay and wouldn’t want to stay at any resort or lodge over it. The plantation cottages are literally five minutes away from Waimea Canyon and offer visitors a more laid back, down to earth, and quiet vacation. There are no mega resorts anywhere near these cottages and hardly anyone around besides the employees and visitors staying here. There are 60 plantation era cottages perfect for all sizes and ages, but they fill up quick so make sure to book in advance. Cottages range from one to five bedrooms and each has a full kitchen should you wish to cook your own food (which is a good idea in Hawaii – eating out is $$$). Some of the cottages date back to the 1800s and all are on a tropical coconut grove just steps away from the ocean. Because this place is so far away from light pollution you can really see the stars twinkle at night. Seeing the stars is one of the best things to do in Kauai at night. WiFi is available in every cottage and there is a DVD rental at the front lobby for anyone wishing to catch up on some movies at night. In the morning there is nothing we enjoyed more than sitting on our back porch here with a cup of coffee and enjoying the sound of the ocean waves. You will 100% need a rental car to get around Kauai, this is the United States after all. Car rental companies are located at Lihue Airport. We went with Avis and were upgraded to a brand new Mustang convertible for free. The perfect car for driving around Hawaii! Check car rental prices here. Wondering what to wear in Hawaii? 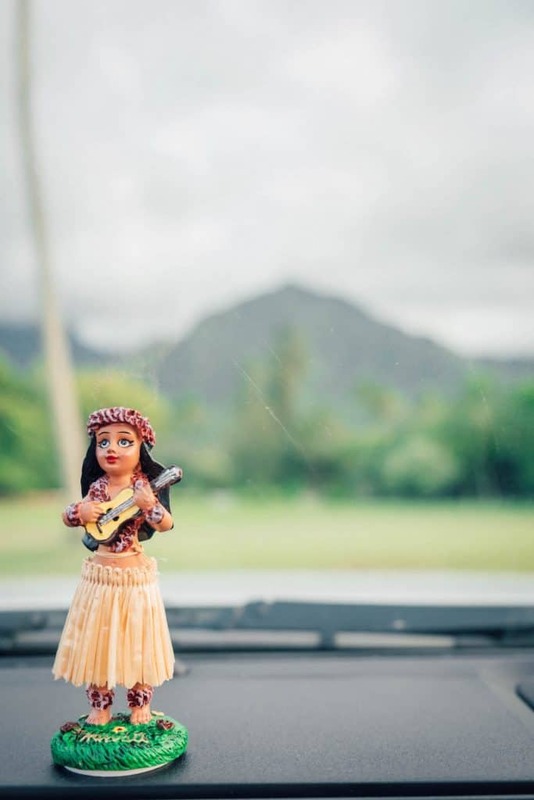 Check out our ultimate Hawaii packing list! Adapter: Power sockets in Hawaii are the same as the rest of North America and are of type A and B. The standard voltage is 120 V and the standard frequency is 60 Hz. Currency: Hawaii uses the US Dollar. ATM’s are located all over and credit cards are widely accepted.